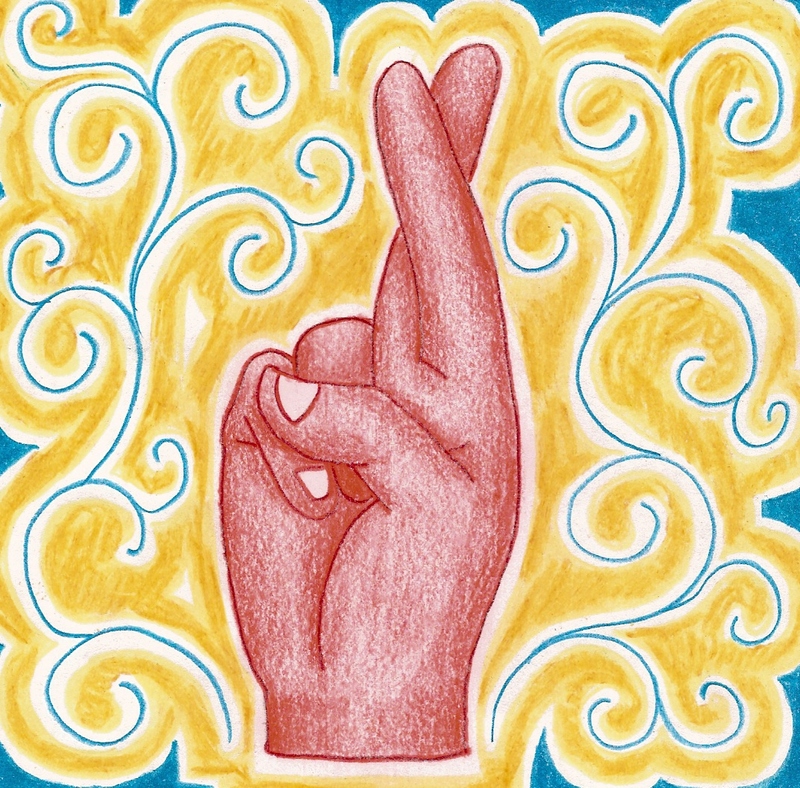 odger Young was born in the small, rural town of Tiffin, Ohio. His family moved nearby, to the smaller town of Green Springs a few years later. Rodger was the oldest of five children, and the family loved to get together and play music as a group. Rodger also grew up hunting with his father in the woods and was an excellent marksman. In Green Springs, sports was the hinge-pin of the community. When Rodger started High School, he was determined to make his mark on the ball field despite his small stature. He was too small to play Football, and the coach wouldn’t allow him to participate. At 5’2″ he was also too short to play Basketball, but the coach took pity on him and decided to let him play anyway because of his enthusiasm. Mostly, Rodger played in practice games, but it was during a regular game that tragedy struck. Rodger was fouled and knocked flat onto the concrete, hitting his head and blacking out. In the months following his accident, Rodger’s hearing and eyesight deteriorated to the point where he was almost completely deaf and needed to wear thick glasses. Rodger’s school work was greatly impacted by his accident. He could no longer hear the teacher, and he could no longer see the blackboard in class, no matter how close to the front of the room he sat. After a year of struggling to keep his grades up, Rodger decided to drop out of High School and go to work for the local factory. His family could use the money, and he didn’t feel like his school career was going anywhere. A few years later, wanting a little extra spending cash, Rodger joined the Ohio National Guard with his brother. During peace time, the national guard would meet a couple of weekends a year and there was little expectation that they would be in actual combat. 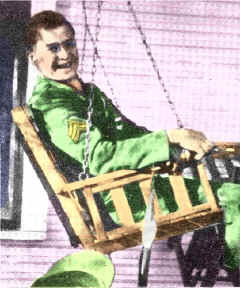 Rodger had been interested in the military before his accident, but knew that his hearing and eyesight would keep him out of the official US Army. He didn’t pass the test to get into the National Guard with flying colors, but he explained to the man in charge why he wanted to join up, and they let him anyway. The expectation that the National Guard wouldn’t be in actual combat ended with Pearl Harbor. 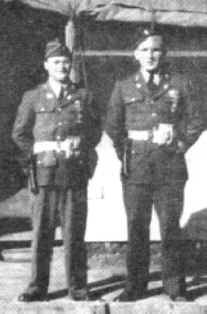 Suddenly, the Ohio National Guard had become nationalized as part of the regular US Army, and Rodger was on his way to the South Pacific to fight in World War 2. 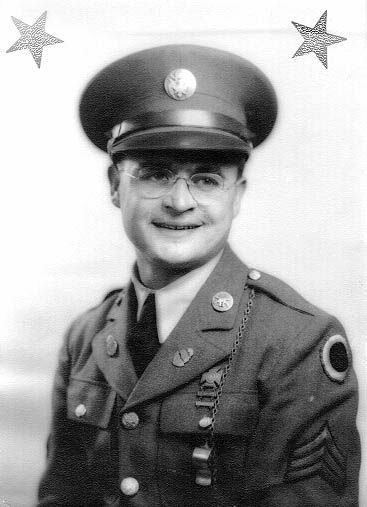 Because of his amazing performance as a soldier in the National Guard, Roger was given the rank of Sergeant with a troop of men under his command. He did his best to hide the true extent of his hearing loss from the higher-ups in the Army, but it was well known that his hearing wasn’t perfect. When word came from the top that a big campaign to take control of the Munda Airstrip would be underway, Rodger began to worry. He knew he could take care of himself in battle, but he didn’t want to be responsible for others lives when he may not be able to hear an order to retreat, or hear where the enemy was located. That night, he went to his commanding officer and asked to be demoted to a private. At first, his commanding officer thought he was trying to get out of fighting completely, and he wouldn’t let Rodger step down. Eventually, the officer ordered that a hearing test be performed. When the test showed that Rodger was deaf, the commanding officer tried to send him away from the battle, but Rodger wouldn’t go. He insisted on staying and fighting, and the officer sent in Rodgers demotion paperwork that night. Rodger would be responsible only for himself. The battle didn’t go well for Rodger’s unit. They were taking heavy machine-gun fire from a mounted gun operated by 5 Japanese men. The machine-gun was set on top of a hill, and covered ground for miles. Rodger’s unit had gotten themselves into a safe position for the moment, hiding behind some trees, but if they were to either advance or retreat, most of them would have probably been killed. They couldn’t wait out the situation, either, as the Japanese would surely have ambushed them. After carefully reviewing the situation, the Sergeant in charge of the unit decided to order the men to retreat anyway, as he didn’t see any other way out of the situation. According to reports, Rodger looked right at the man and said, “I’m sorry Sir, but you know I don’t hear very well,” and went running toward the machine-gun. He was able to launch a grenade into the midst of the five men operating the gun, killing them all, before dying of his wounds. This heroic act allowed the rest of his unit to escape the battle without further loss of life. It also gained Roger Young a posthumous Medal of Honor. A year or so after Rodger’s death, the Army decided that they’d like to have a song made about one of their heroes. They commisioned a man named Frank Loesser to look through the Medal of Honor citations for a Private, and to tell that man’s story in song. Thus the ballad of Rodger Young was born. Had Rodger kept his rank as Sergeant, he would not have had a song made of his story. Though Rodger Young was an unlikely looking hero with his coke-bottle glasses and his short frame, he saved many people’s lives that day in the South Pacific. He will be remembered throughout history as a brave and courageous man. Here is a You Tube video of the song. Awesome!! I’m so glad you found that! Loved this story!!! A true American Hero! Thank you so much for sharing!